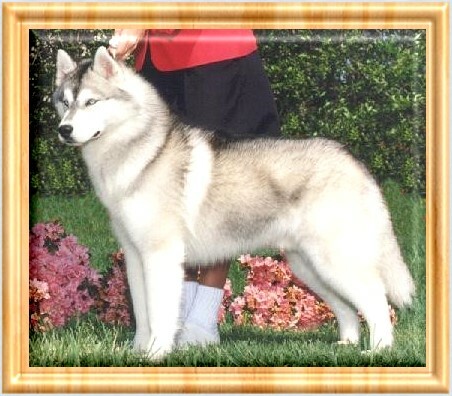 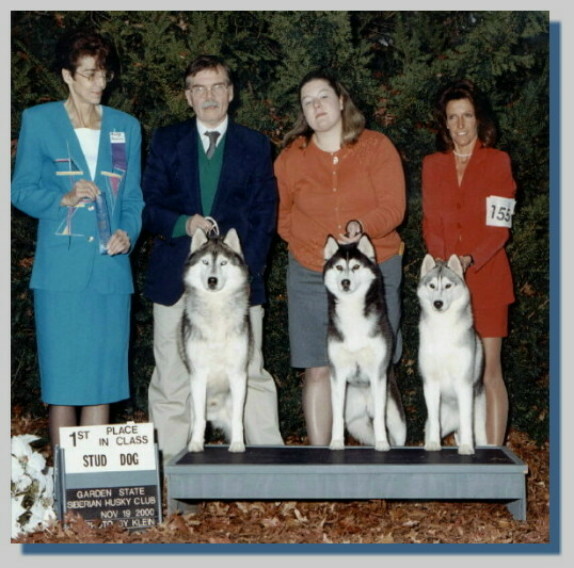 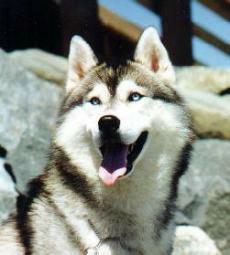 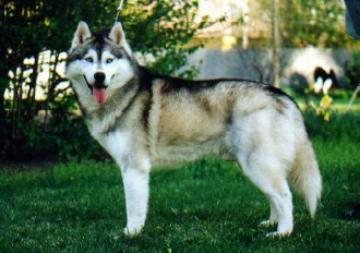 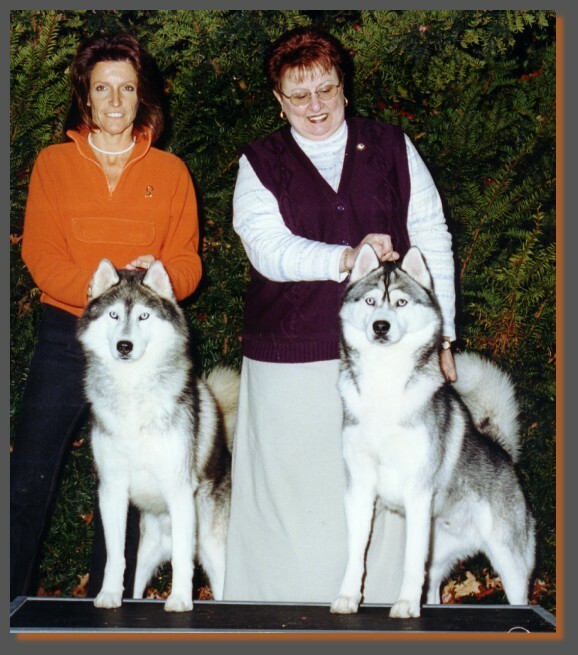 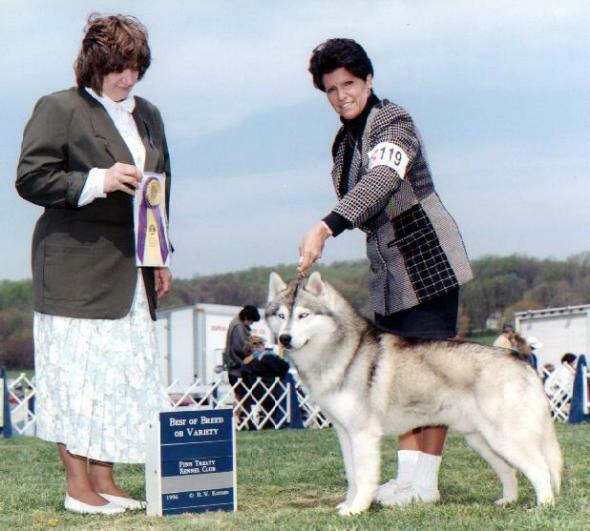 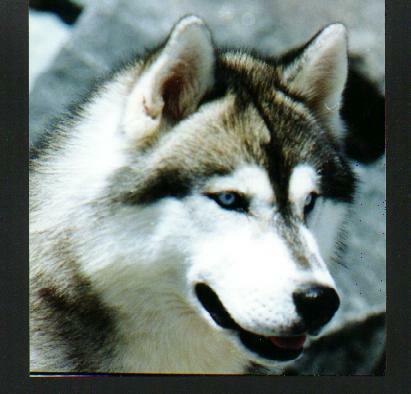 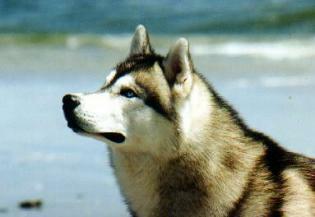 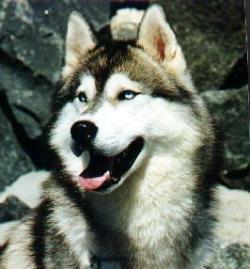 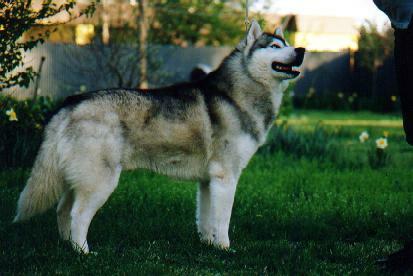 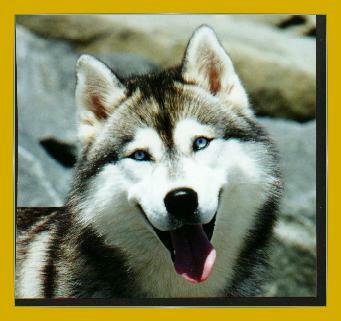 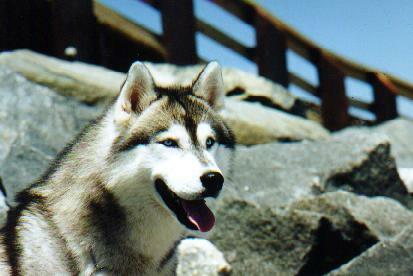 Vinnie is pictured with friend Mike Marion winning the Stud Dog Class at the Garden State Siberian Husky Specialty in November 2000. 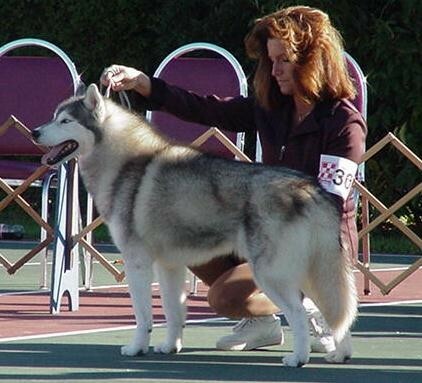 He is pictured with his daughter Carli - Ch.Rockland's Daughter In Law who is handled by her owner Mindy Lehman and Rose is showing Chloe - Rockland's Got The Glow On. 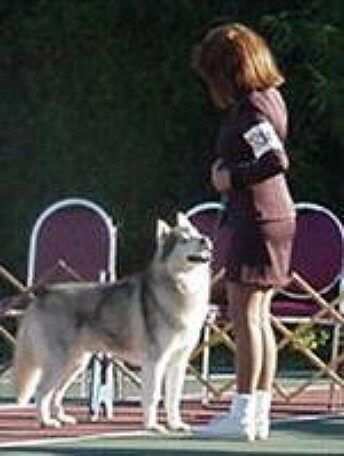 Vinnie pictured at 8 years old at the National Specilaty in October 2001.